Photomath App Description: It is the best camera calculator. Photo math is the best standard learning application in the world right now. It gives you instant Result, this app reads the images of symbols or math images or geometric images by using the mobile camera and gives solutions to the mathematical problems. Photomath is a math problem solver. It is a very useful app for those people who are weak in Mathematics and such people will surely like this application. 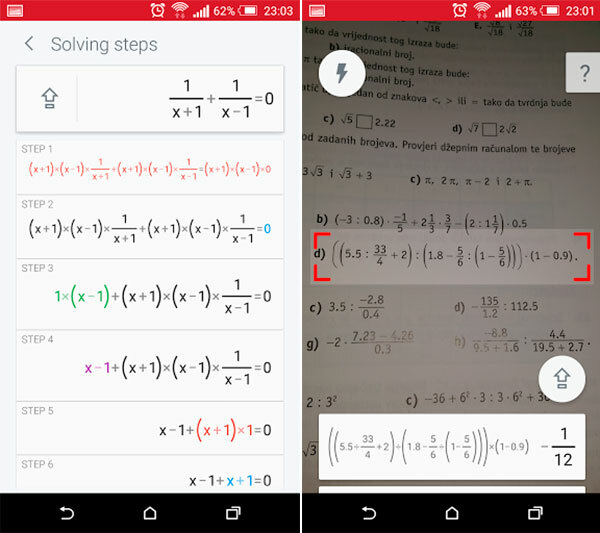 The main attraction of the Photomath app is that it solves the step by step procedures in mathematics in seconds and also shows the very few easy steps that’s the main reason for naming this app as a math problem solver. By this app we can also learn and improve the mathematics skills day by day. 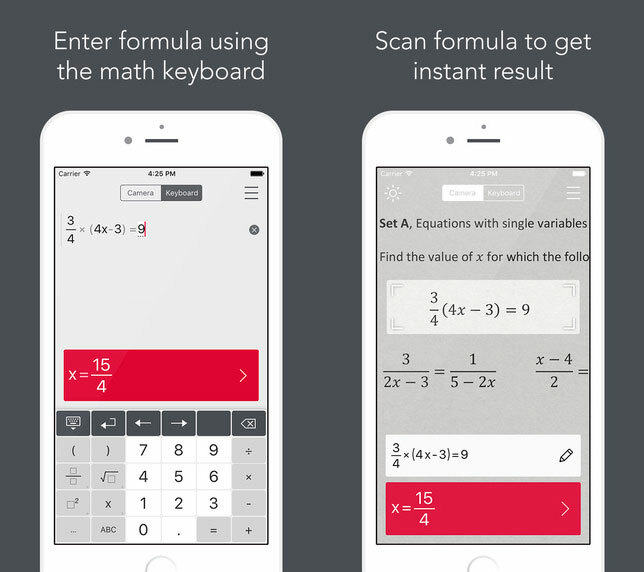 This app can easily solve your hard math problems within seconds. This Application can even perform the simplest operations like basic arithmetic, fractions, decimal numbers, linear equations and algorithms etc. It can also be used as scientific calculator with more features like trigonometry, calculus and algebra. The new version of app guides you to more educational value information by solving more advanced mathematical operations and improving the complex math. The new version has added more detailed step by step descriptions, and many other small improvements. Photomath 2.0 is currently available for iOS version only. Also see: Best Earthquake Alert APP, Mobogenie APK Download, Run android apps on PC. When you have a problem to be solved in mathematics, let it be a arithmetic, fractions, decimal numbers, linear equations, algorithms, trigonometry, calculus and algebra etc. you just need to open the app and the app will automatically open up your camera then you have to scan the images of symbols, maths pictures and images, geometric images, math images or any other mathematics pictures for which you need a solution. Then the photomath app will automatically display your answer to the problem within seconds. By this you can easily get your math answers. Minimum Requirements : iOS 7.0 and above. After you complete downloading the apk/ipa file. Click on the apk/ipa file in your device. Your app will be installed successfully. Click here to download Photomath App from AppStore. BY clicking on the above two download links, they will take you to a page on AppStore or PlayStore, from where you can download and install the photomath app. It is a unique tool for students, users can easily manage their simple equations just by taking photos of questions. It is quite practicable and easy to use.